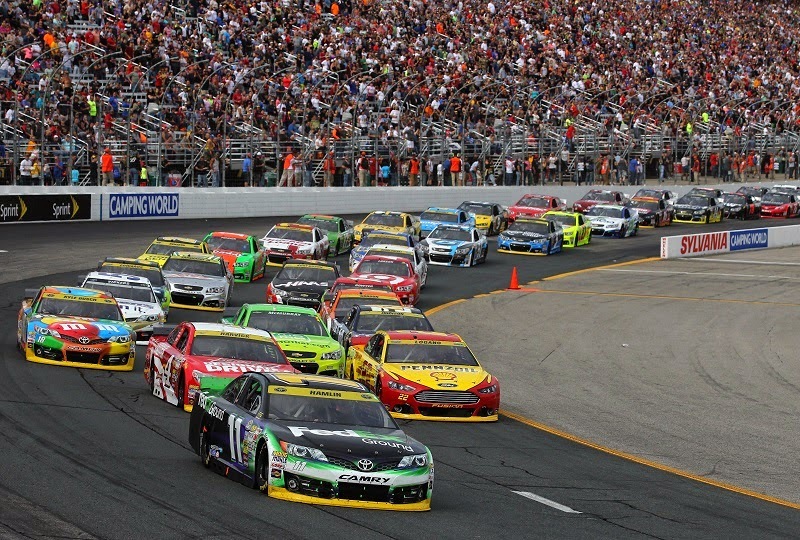 The second race of the 2014 NASCAR Sprint Cup Chase provided the expected varying range of outcomes on the 1.058-mile New Hampshire Motor Speedway. Winning the Sylvania 300, Chase challenger Joey Logano locked his #22 Ford Fusion into the Contender round (securing both Penske Racing cars into the next progression in the 2014 Chase. On the other hand, Kurt Busch and Denny Hamlin each experienced a dismal outing at New Hampshire. The #41 Chevrolet SS of Kurt Busch was recorded in 36th place while the #11 Toyota of Hamlin finished 37th. Due to the results, both drivers are on the outside of the 12-driver cut-off entering as the third and final race of the Challenger round wraps at Dover International Speedway. However, there is currently only 10 points separating 16th place from 11th place in the bottom end of the 2014 NASCAR Chase heading into Dover meaning the race is largely wide-open prior to Sunday's AAA 400. Below is a chart mapping out how the 16 Chase eligible drivers performed compared to their 2013 results and career average. Joey Logano showed the biggest improvement but surprises also came from Aric Almirola and AJ Allmendinger who both stepped up their previous performances at New Hampshire.